Let's face it. Monday's are hard. 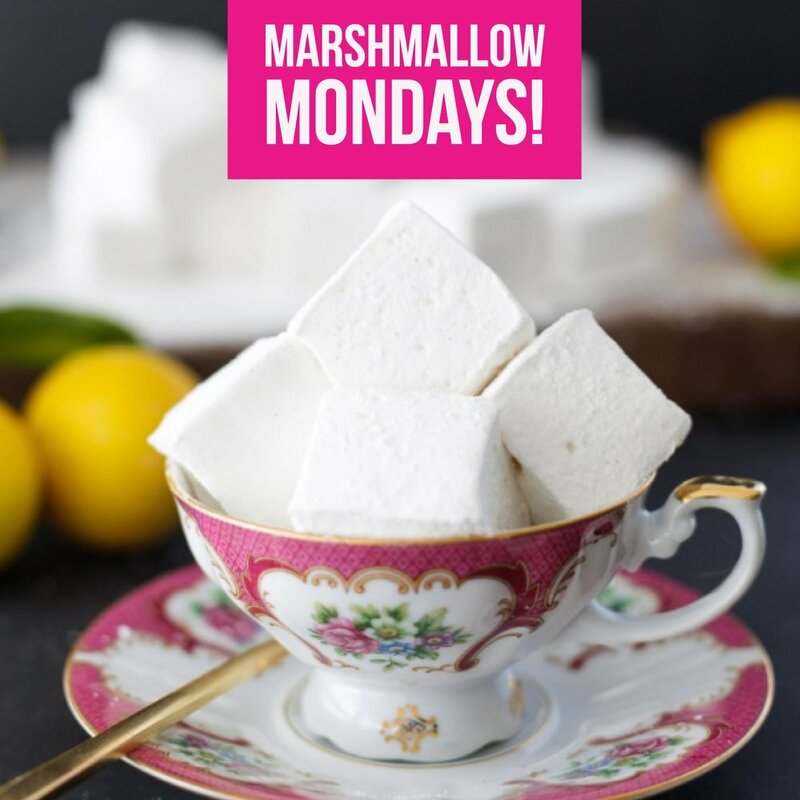 Make your Monday super awesome with our newest series for fall - Marshmallow Mondays! Join us this fall for fun marshmallow recipes! To say that I love marshmallows would be an extreme understatement. During the winter of 2015 I developed a craving for Marshmallow Fluff in my coffee every morning. Imagine my surprise when I learned that I could make a healthy version of store bought marshmallows! These are Paleo Marshmallows which call for grass fed collagen, organic marshmallow root and raw local honey! Marshmallows are considered to be a foam, scientifically speaking. More precisely, it is a foam with air bubbles, stabilized by sugars and proteins (egg & gelatin). The sugar & protein mix is strong enough to keep the bubbles apart and prevent the air from escaping, but soft enough to create that gooey marshmallow texture. Marshmallows contain quite a bit of sugar (just have a look on your marshmallow pack). The sugar is essential for creating structure in marshmallow. Without it, the marshmallow wouldn’t be stable (nor would it taste like anything). Before we knew the exact science of what makes a marshmallow a marshmallow, the Egyptians were using the marshmallow root for all sorts of healing purposes. Today, one useful herbal remedy that calls for marshmallow root is for gut healing. With that said, I looked around for a variety of homemade marshmallow recipes and most of them didn't even include actual marshmallow root in the recipe! Well, that's odd, I thought. And I'm still scratching my head about that one. Because marshmallow root is the very thing that helps with both gut health and Interstitial Cystitis! Interstitial Cystitis is different from a UTI in that a UTI is caused by bacterial infection, whereas IC is not caused by bacteria. IC is incurable and it is unknown what causes it at the present time. It is thought to be an autoimmune disease by some medical professionals. Althaea officinalis (marsh-mallow, marsh mallow or common marshmallow) is a perennial species indigenous to Europe, Western Asia, and North Africa, which is used as a medicinal plant and ornamental plant. Also, keep in mind that corn, unless it's certified organic, is a GMO which means it's doused with Glyphosate, which has questionable safety. 1 tbsp of organic marshmallow root. Pour ½ cup of water into a metal bowl or mixer bowl and add collagen. Whisk slightly to incorporate and let sit. Store in an airtight container. Do NOT store in the fridge as they will melt. Store in an airtight container at room temperature. WHICH SWEETENER SHOULD I USE TO MAKE HOMEMADE ORGANIC PALEO MARSHMALLOWS? I love honey, so that's what I use. It's mostly glucose.